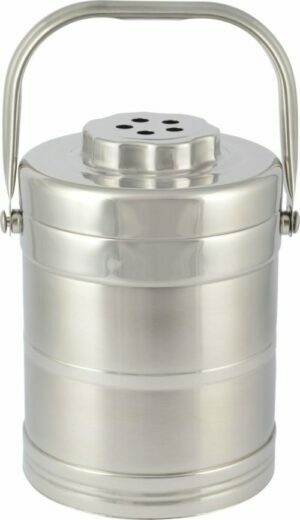 Uniquely designed with a strong handle and tight locking lid. 1.8 liter capacity. Worried about odors? Worry no more! 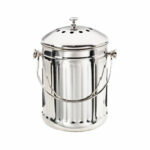 The locking lid feature forces the odor into the charcoal filter that is situated onto the lid. 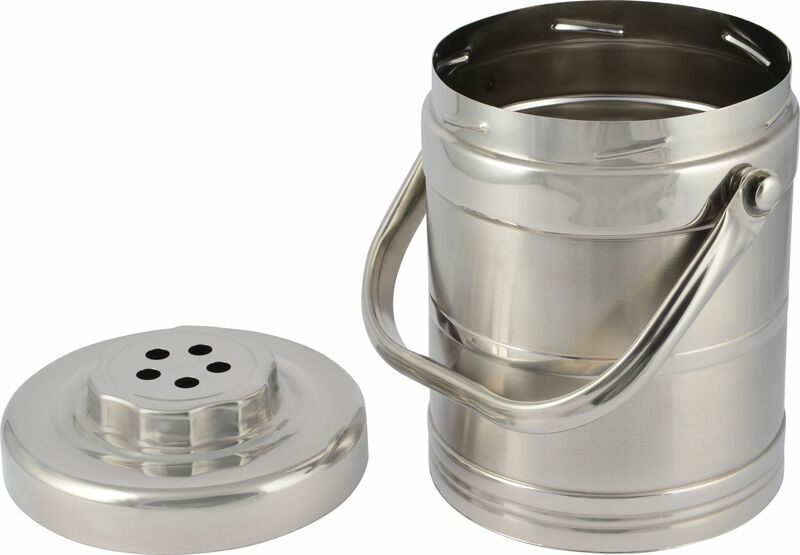 Easy to clean- stainless steel composition is resistant to rust. 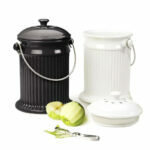 Easy to maneuver- light weight design makes this crock easy to move around. Looks great on your kitchen counter! 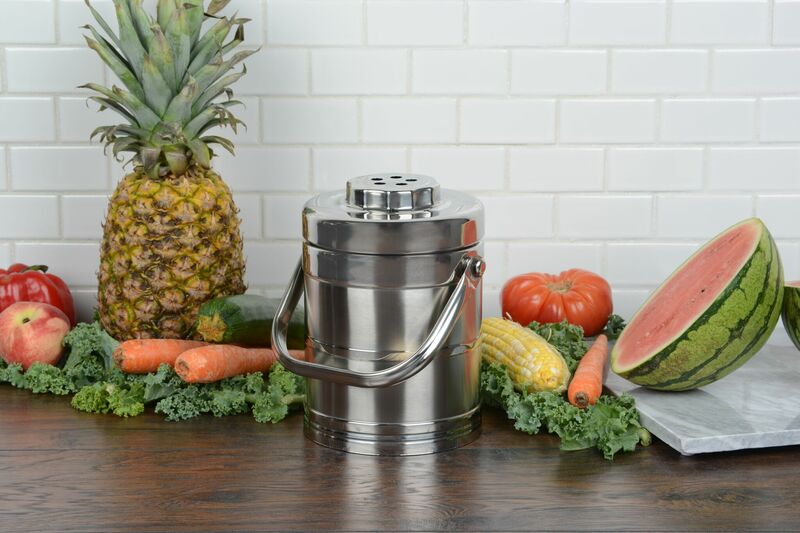 This compost crock is perfect to keep all your food scraps in your kitchen. 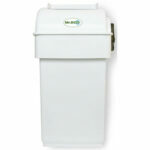 It doesn't expose the air to bad smells! It is cute too, it doesn't take up a lot of space either. 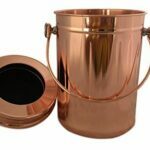 Love the steel compost crock! My wife was tired of looking at an old ice cream tub for compost scraps. 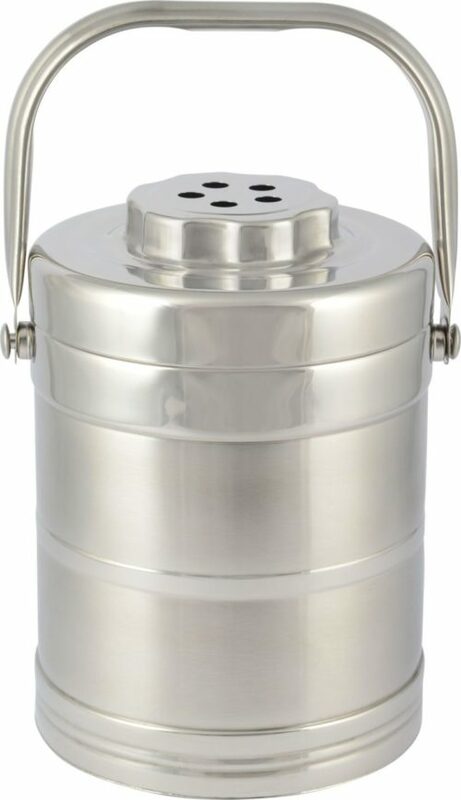 Now she’s got a nice stainless steel container with a lid so it not only hides odors, but it matches many of the other appliances on the countertop.